Raven is associated with Magic, Sorcery and Transformational powers. 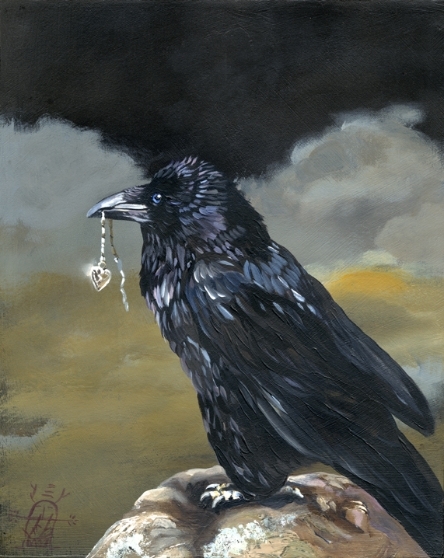 Raven can be a Guide for deeper understanding of our Shadow Self, as well as courage and comfort with the Darkness. Raven is also a Trickster and if you're not careful He can steal your Heart.